I grew up as what I endearingly call, a super jew. My Mom was the music teacher at my temple so I was always involved from a very young age. From religious school to Hebrew school, Jewish Overnight Camps and Temple Youth Groups, I really took it in. It became a central part of my identity. When it came time to go to college, I chose Indiana University because they offered Hebrew and because they had a pretty significant Jewish population. Well, we all know where this is going…love walked into my life and he was Christian. Even before Brad and I got engaged, we had the TALK – the talk about how we want to incorporate both Christianity and Judaism into our family. It wasn’t an easy conversation, but it was important to us that we resolved it before we walked down the aisle and ultimately, before we had children. Religion goes deeper than how you identify yourself; it can be traced back through your family history and tradition. So when we were trying to figure out how this would work, we also had to think about how it would work for our families. We shed tears and fought some heated battles, but in looking back on it, there was one moment that signified to us that there was a light at the end of the tunnel. It was the holiday season and my Dad got us a Cubs ornament for our tree and Brad’s Mom got us a Hannukah decoration for the house. And though both parties may have wished for something different, everyone came to terms with what was to be. 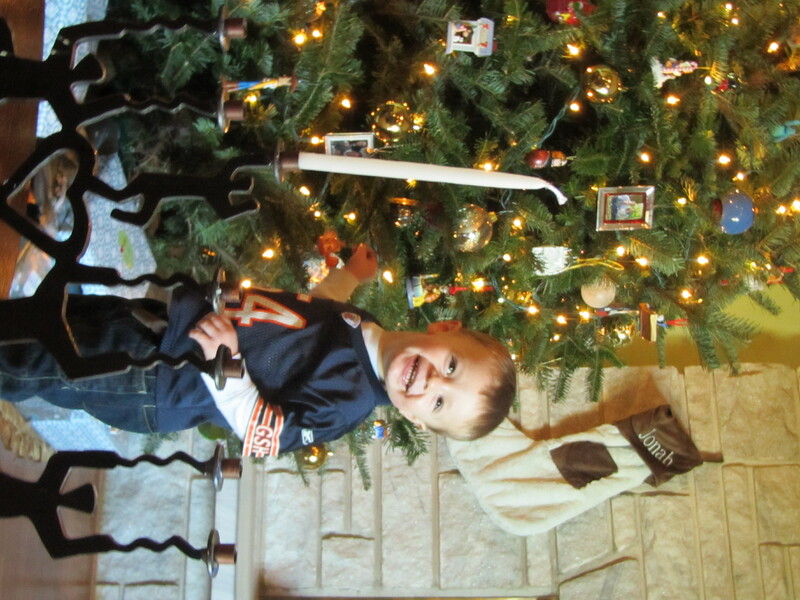 Our son, Jonah, is Jewish, Jewish with a Christmas tree, and that works for us. Brad is endlessly supportive of Jonah’s Jewish identity and I embrace the Christmas spirit. I’m realistic in that there will be times in the future when this duality will become confusing to Jonah but as long as we are confident in how we present it and live it, Jonah will come to understand it. Do I want Jonah to marry a Jewish girl?? Of Course! But if that is not the case, then I can only hope that he and his significant other have the TALK and figure out a way to make their families religious identity work for them. Rachel, this is very well written! I can only imagine the discussions from two different religions! I want to apologize because my card said Merry Christmas. I try to send one that says Happy Holidays so I do not disrespect you, or your belief. 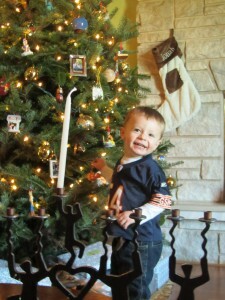 I am so glad you are part of this family, and we can combine both religions! Jonah is a very lucky young man!!! Love, understanding, respect conquers all. Family is the key.